Capturing memories + moments that will last a lifetime from your event is really what it's all about it, and we want to be sure that you're able to remember your celebration for years to come. Starting with our open-air photo booth design to our Snapchat geofilters, we've thought of all of the photography possibilities for you! Snyder Entertainment has put together a fantastic list of Photography Services that can enhance and customize your event experience. No matter how crazy it sounds do not hesitate to ask when you are consulting with our sales team. We are solution driven and we love challenges! Below are some of our more popular photography services..
One of Snyder Entertainment's hottest services, our photo booth is perfect for any type of event, and a great addition to keep guests entertained and having fun! 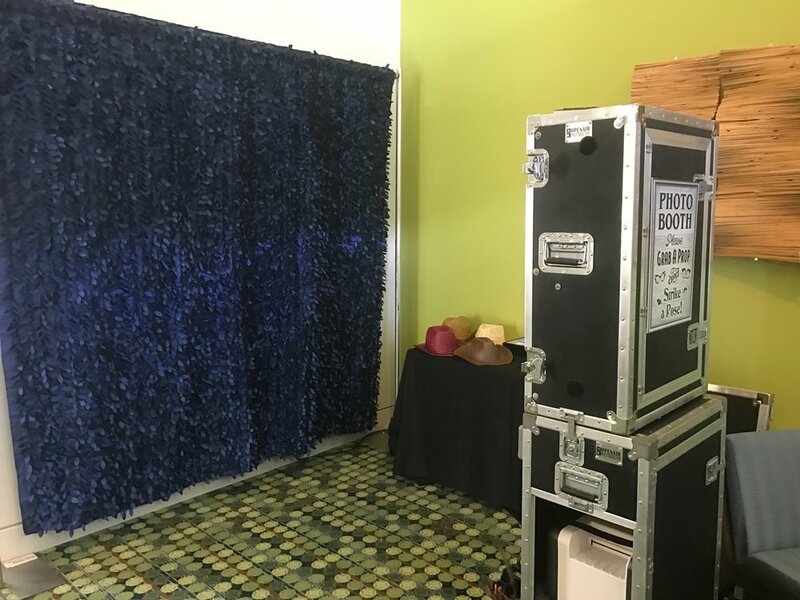 An automatic upgrade to any wedding reception, corporate event, and private party, our photo booth is an open-air design, meaning it's portable + allows for setup in any environment. Every package comes standard with unlimited background options as well as vertical or horizontal template options. Open air design also allows for more room for guests to jump in, making it perfect for couples and groups of four to eight people. Your guests will love it, and with our extensive prop package including feather boas, Hollywood sunglasses, and hats galore, everyone will be in and out of the booth! This service is a must-have and a no-brainer! Are you wanting to take the photo booth to the next level? When you book our Green Screen Booth you get the flexibility to be in any environment imaginable, and custom backgrounds to fit any type of event. Our custom backgrounds can change right on the spot without retaking the picture. Try two or three different backgrounds, and with our multiple printer hookups we can print all the copies simultaneously. 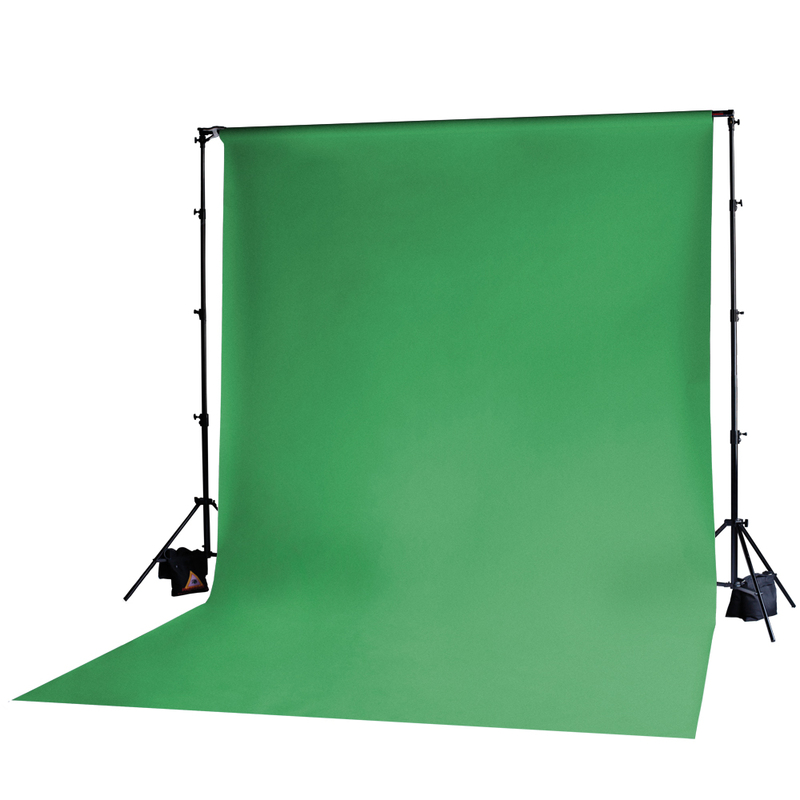 Our Green Screen Booth will have your guests talking about your event for a long time! Have you ever taken the perfect picture and posted it to Instagram but wish there was a way you could have copy? If you add our Instagram Print Station on to your event we can make that happen. Take advantage of Social Media and set up a #hashtag for your event. Every picture posted to Instagram or Twitter with that #hashtag at your event will pop up on our machine. And to elevate the experience of our Instagram Station, we will also include a custom template for photo print outs. When thinking about designing your custom overlay, ask yourself the following questions: Do you want to display the information about the user that took the photo? Show the caption of the photo? How about if it was taken on Instagram or Twitter? What if you want to show all of the above and showcase your brand? Or, maybe you want to hide all of that extra information and just showcase your brand? No problem! Our intuitive and customizable printing software allows us upload any design, text, and/or logo into the machine, and when your guests print their photos, your design will appear on the prints.. It's really that easy! When it comes to attention to detail, Snyder Entertainment puts a lot of thought, work and preparation into delivering the best services; providing the basis for great events every time. In 2017 clients want cutting edge, trendy, modern and easily affordable services that will elevate their event without breaking the bank. Corporate clients want to appeal to the millennial generation, to those who embrace social media as a tool for connecting with others. Wedding clients want to incorporate something personal and unique. Private parties and celebrations want to include something out of the box and fun. As technology changes, so do the needs of our clients and we want to be able to not only meet your needs but exceed them. Our custom Snapchat geofilters is an easy addition to any of our packages and perfect for any type of event! The future of Nashville's event entertainment is Snyder Entertainment + we're so excited to be the first to bring creative and custom Snapchat geofilters to all of your events! To learn more about how we craft our custom geofilters, please visit our latest Snapchat blog post! At Snyder Entertainment, we offer the ability to add photography to any event. Your guests will feel like instant celebrities as soon as they hit the red carpet! If you would like more of a red carpet atmosphere we offer Step and Repeat Photography setups with on-site printing and framing. The end goal for us to be able to provide you and your guests with memories. Be sure to check out this blog post to learn more about our custom backdrop + banners that pair perfectly with this fun photography option! If you're interested in including any of our photography services for you next event, or if you want to add one of these add-on service options onto your already existing entertainment package, please contact us today!